Saudi Arabia’s Crown Prince sent 11 messages to an aide overseeing the Jamal Khashoggi hit squad in the hours surrounding the journalist’s murder, it is claimed. Saudi Arabia has repeatedly denied that Prince Mohammed knew about the murder or played any part in it. The report claims that the prince sent at least 11 electronic messages to his adviser, although the CIA does not know what they said. It is also alleged that Prince Mohammed had spoken in August 2017 of ‘making arrangements’ to lure him to a foreign country if he could not be returned to Saudi Arabia. The CIA assessment reportedly said that the discussion ‘seems to foreshadow the Saudi operation launched against Khashoggi’. 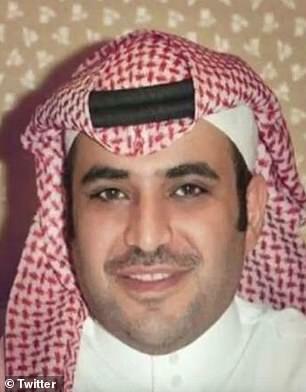 Qahtani has since been sacked but his influence in the kingdom has led many to believe he could not have overseen the operation without the prince’s knowledge. 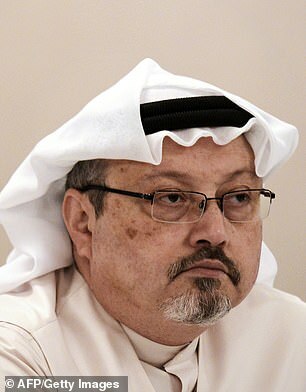 Khashoggi, a Washington Post columnist and critic of Riyadh, was killed and his body dismembered by a team of 15 Saudi agents on October 2. The killing has strained Saudi Arabia’s ties with the West and battered Prince Mohammed’s image abroad. Turkey has said the hit was ordered at the highest levels of Saudi leadership, and the CIA assessed the prince was directly behind it, despite vehement Saudi denials. Washington has imposed economic sanctions on 17 Saudi officials, including Qahtani, the prince’s senior aide. But Donald Trump has largely stood by the crown prince, defying intense pressure from lawmakers to impose broader sanctions on Saudi Arabia. 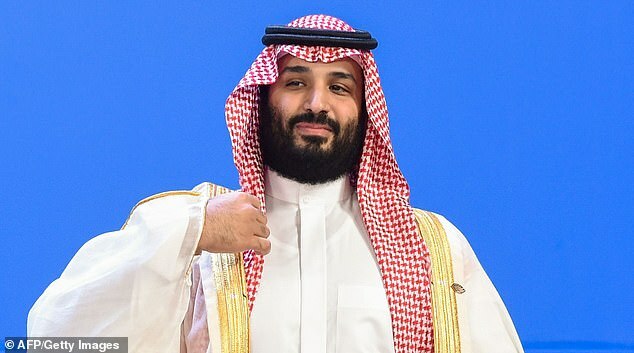 Prince Mohammed is today at the G20 summit in Buenos Aires as the controversy over Khashoggi’s killing continues to dominate the West’s relations with Saudi Arabia. Human Rights Watch has asked Argentine prosecutors to investigate him for human rights abuses. U.S. Secretary of State Mike Pompeo and Saudi Foreign Minister Adel al-Jubeir are said to have ‘discussed the importance of making progress’ in the investigation into Khashoggi’s killing during talks.